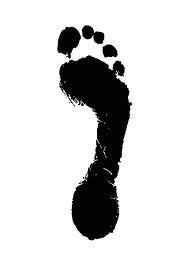 Earlier this week I took the ecological footprint quiz at footprintnetwork.org. The result showed our family had a footprint of 16.1 acres and said we’d need 3.6 planet Earths to support our lifestyle. Then I took a different quiz at myfootprint.org and found out we’d only need 2.93 Earths to support our lifestyle (whew, that’s a relief!). But those results showed a total footprint in global acres of 113.58! Wait a minute! What happened? Our ecological footprint went from 16.1 to 113.58 acres in ten minutes? Our family has been consciously, actively working toward reducing our footprint for over six years. In 2005, I followed the quick footprint quiz in Jim Merkel’s book, Radical Simplicity, and roughly estimated our footprint at around fifteen acres. According to the book, the average American footprint was estimated at twenty-four acres. Earlier this year I re-calculated our family’s footprint using the same method and the result was less than five acres. In six years we had reduced our footprint by more than two-thirds – no small feat for a family of five. About the time Vicki and I first read Radical Simplicity and started following Jim Merkel’s innovative footprinting philosophies, new research was changing the way footprints were calculated. That would explain a difference in how my numbers match up to their numbers, which doesn’t bother me. Regardless of the numbers, we’re about as sustainable as possible given our current circumstances. What does bother me is that if a footprinting newbie takes both tests and gets different results from each one like I did, they might easily (and reasonably) discount footprinting altogether. What also bothers me is that the online calculators seem to have taken the heart and soul out of footprinting. The calculators are nifty tools, but I can see most users taking a quick, fleeting glance at how their lifestyle affects the planet and moving on to the next interactive gadget, totally missing the point. The old-school approach inspired. The process of weighing or otherwise quantifying everything you own, buy, and throw away, and then categorizing, charting, and tracking those numbers as Radical Simplicity teaches, gets your hands dirty. It’s work. Being totally immersed in the project, you’ve got sufficient motivation (and daily reminders) to keep it going. Weighing and charting every item you buy and everything you throw away every day, every month, it’s impossible not to be fully, consciously aware of the impact of your choices. Active footprinting keeps you engaged, keeps you focused and on-task. There are also corollary consequences that result, which is the real beauty of footprinting. Any online ecological footprint quiz should inspire the quiz taker to want to reduce his or her footprint. Shouldn’t it? I have no illusions, no romantic notions that many people would have the time or inclination to undertake the challenging task of precisely calculating their footprint. But the online calculators should, if not humiliate people for the size of their television, at the very least make them drag out a few utility bills, don’t you think? I got to the end of both quizzes and said, “is that all?” Isn’t there something more, some insight or something?